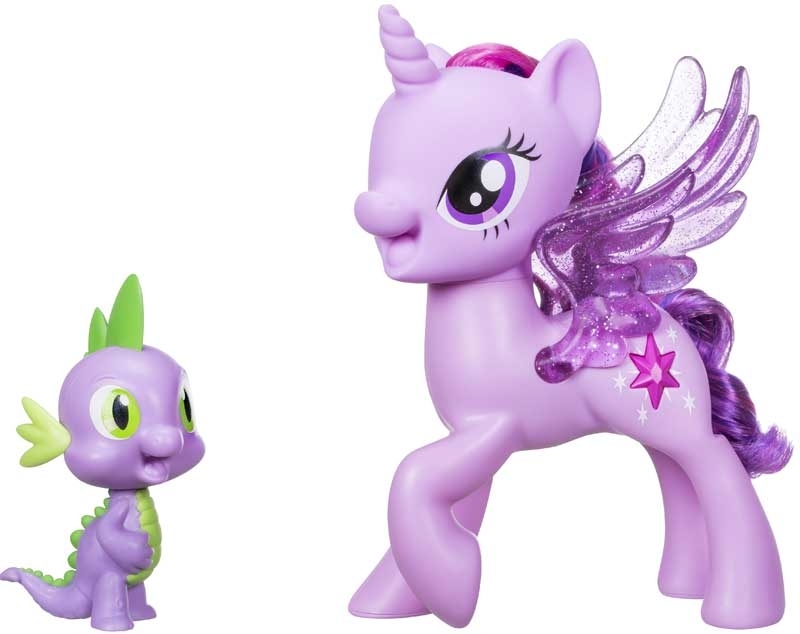 My Little Pony Princess Twilight Sparkle and Spike the Dragon always stick together, especially when they sing a song. 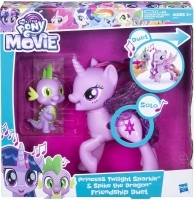 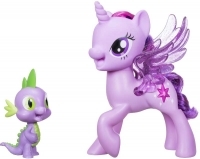 This Princess Twilight Sparkle and Spike the Dragon Friendship Duet set features Twilight and Spike figures that can sing together! 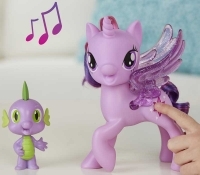 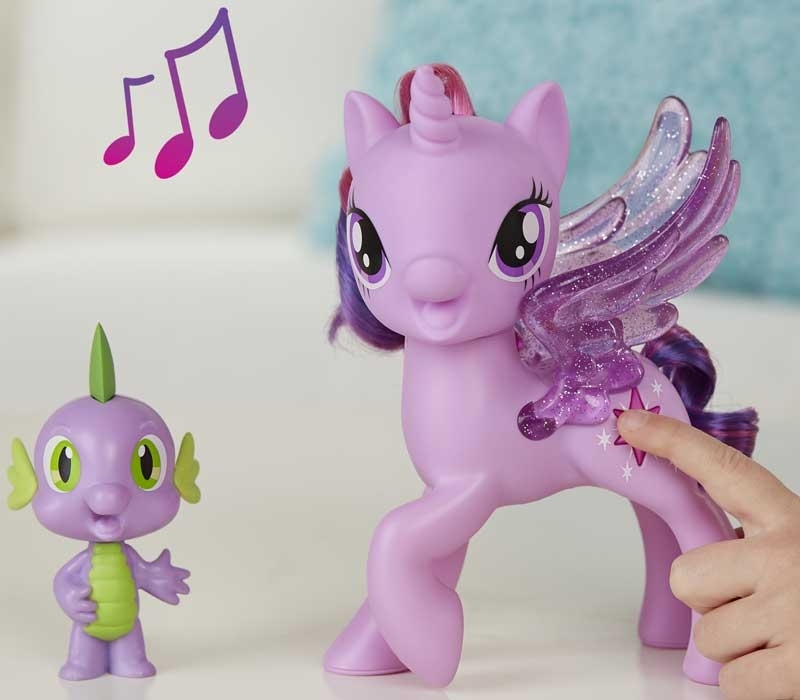 Press the Cutie Mark button on the Princess Twilight Sparkle figure to hear her sing by herself, or hold the Spike the Dragon figure next to her while she sings to hear them sing a duet. 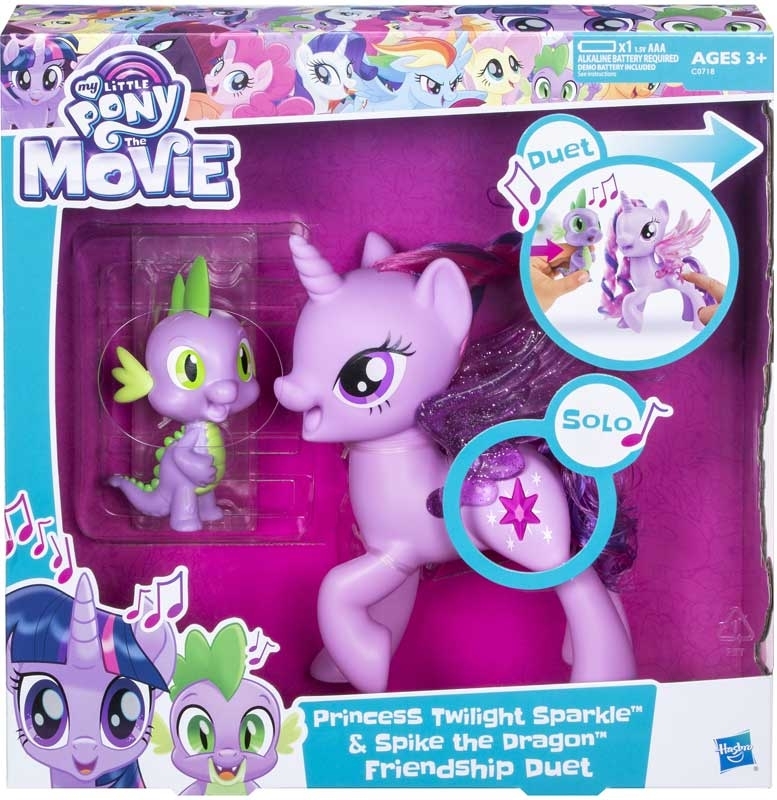 Music sounds best when friends sing together!